Running home before the storm. 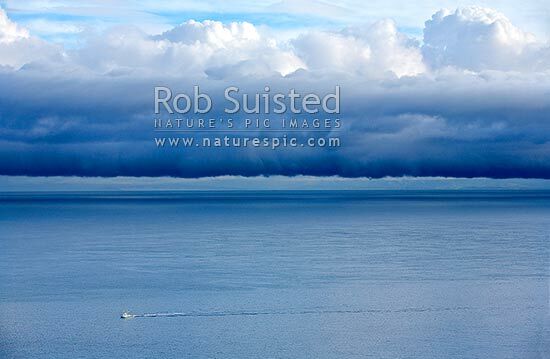 Fishing boat returning to port as a dramatic southerly weather front looms over Cook Strait. South Island under cloud, Cook Strait, Wellington City District, Wellington Region, New Zealand (NZ), stock photo.